This might seem like old news but it’s still relevant. Back in March, Snapchat made a very big update to their app. If you used it during that time, you definitely noticed it. If you didn’t and you don’t, media outlets and other social network apps put a spotlight on the update. Since that spotlight and backlash, Snapchat made changes to please its consumers. Imagine using your car daily knowing where the turn signal lever, the windshield wiper level, and the radio is. Then the next day, you open your car like you always do but when you sit down, the radio is where the turn signal level used to be and the windshield wiper and turn signal lever are combined in one. That’s what happened with the Snapchat update. Stories, which are pictures or videos, in short form showcasing someone’s 24 hours was one of the biggest changes. 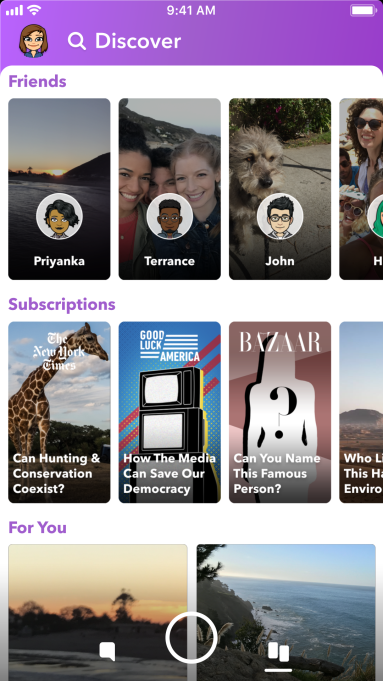 In a previous version, your friend’s stories where on the right side or swipe of the app along with advertisers and more well-known people’s stories. The new update separated your friends and advertiser stories, making it an extra step for people to see your content. Essentially, the update was to make more room for paid advertising for brands and people. That then drove away everyday users which are who the advertisers are trying to reach and who use the app the most. Now that it’s been a few months, Snapchat has been making updates that sort of getting back to what it used to be before the major update. Stories and the professional content are all onto one screen as they used to be but with a different look that looks a bit cramped. There are a few lessons you can take from this. Any major changes should be tested on more than one focus group. Keep consumers at the forefront otherwise, you risk losing those who helped you get to where you are now. And announce changes before they happen and gauge the reaction/feedback.